Jessica Davies is enrolled in the Bachelor of Information Technology course at QUT. She is majoring in Computer Science and Mobile Applications. She is very talented and many of her intellectual and personal qualities were evident on this trip. Here are some of her thoughts about the trip. The ten days spent in Malaysia as a part of this project have been one of the highlights of my degree. My particular team focused on teaching the year six students renewable energy concepts in a way that promoted digital literacy and hands-on learning. 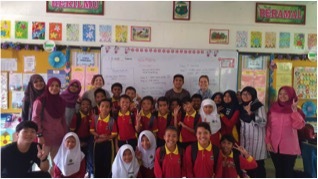 The day-to-day teaching team consisted of three students from UPM – Hamiza, Zaitun, and Celementina – and three students from QUT – Anthony, Mitchell, and I. Over the three days of teaching, we introduced the students to circuit building using Little Bits, programming using Scratch, and a combination of the two, where Scratch was used to program an Arduino board connected to a Little Bits circuit. Our team encountered many challenges throughout our time teaching at SKT, most of which arose from technological issues. We found that the skills and capabilities of the year six students were far better than we had anticipated, with the students picking up concepts much quicker than we had planned. This was a challenge in itself, as it meant that we were having to come up with increasingly challenging tasks that we hadn’t previously prepared. Overall, things went really well, and we all had a lot of fun learning with the year six students. For me, the absolute highlight of the experience was seeing the year six girls grow in confidence over the course of the week. On the first day I noticed that the female students were very hesitant to ask questions or engage with the hands-on activities, outside of what they had been instructed to do. By the end of the week, they were laughing and asking questions, and playing with the Little Bits in a much more confident and creative way. Something that I’d also like to mention is that I really appreciated everyone being so lovely and welcoming, especially during the homestay and our arrival at the airport. Afiq Nazrin is enrolled in the Bachelor of Business program at QUT. Afiq has been supporting the SEE Project for some time now. He volunteered in some activities that involved our project. At SK Temai – he was a part of the team that taught students how to create digital books. He played a significant role in ensuring that the activities in his classroom flowed smoothing. 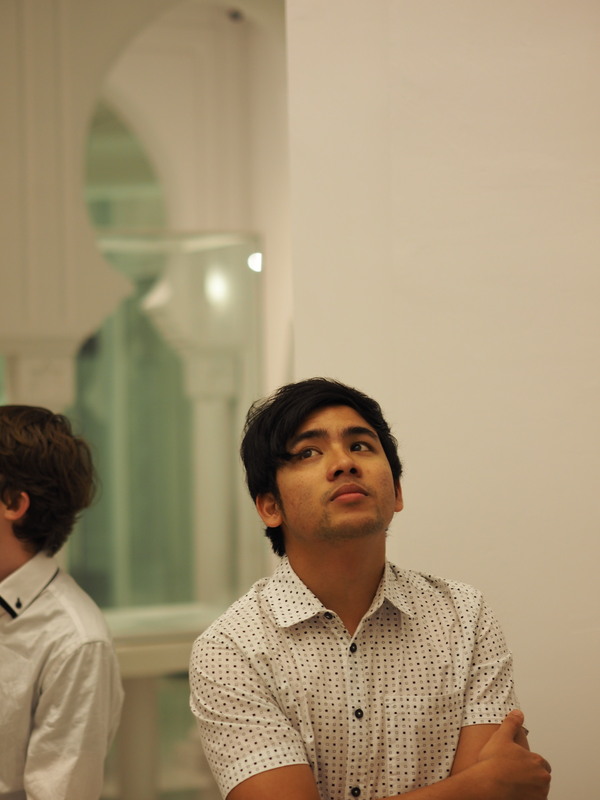 My name is Afiq, and I am a member of the QUT STOMP/SEE project team. I have to say I had mixed emotions about the trip. I was anxious, and a bit apprehensive, but, for the most part, I was excited. I was looking forward to returning to my home country for the delicious food, and I couldn’t wait for the new experiences and challenges that were to come. Malaysia has a population of about 30 million. Islam is the religion followed by more than 60% of the population. My religion too is Islam. What would my colleagues think of my country? More recently some in the media, for example, have not portrayed Islam for what it stands for. Mercy, compassion, and beauty are some of the words that can be used to describe my religion. Regrettably, it is sometimes interpreted as a religion that is intolerant, backward, alien and so on. What exactly is Islam? That in itself is a whole other topic that requires much scrutiny and time, but it was not why we were on this trip. It’s such a big part of the experience, and, therefore, I felt it needed to be addressed. One of the greatest things about our project was the cross-cultural experience. We got to experience the culture firsthand. Although it was only a 9-day trip, I did wonder whether it changed the participants perspectives about people, their religion, and culture. My group consisted of a team of nine amazingly cool people, three from QUT (Casey, Kate and myself), and six from UPM (Kim, Ain, Syu, Aisyah, Nadhirah and Munirah). We were also very fortunate to have Ms. Nurhezrin Anuar in our team. 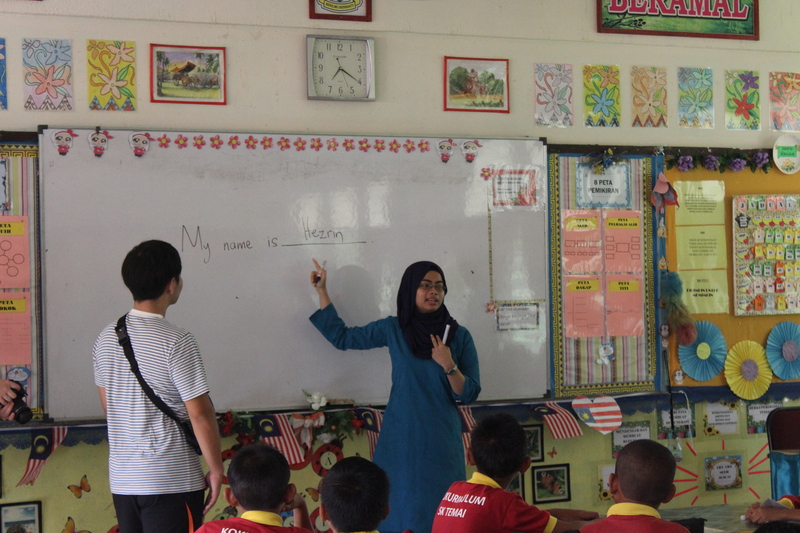 She is an Education graduate from QUT and is now teaching in a primary school in KL. Deforestation was the theme for the lessons. I thought that this was an important issue. It’s a huge problem in Malaysia, and Southeast Asian in general, and it’s something that needs to be addressed and brought to light. The haze which blanketed Malaysia for the whole time we were there was a testament to the impact of deforestation. The third day of the trip was officially our first day of being introduced to the kids, but due to the severity of the haze, the government had closed the school for the day. Our idea was to teach the children how to create a video using a program called Openshot. But with the realization that we only had a limited time (credit goes to Kate for taking charge and coming up with another plan that could be achieved), we decided to make an e-book instead. 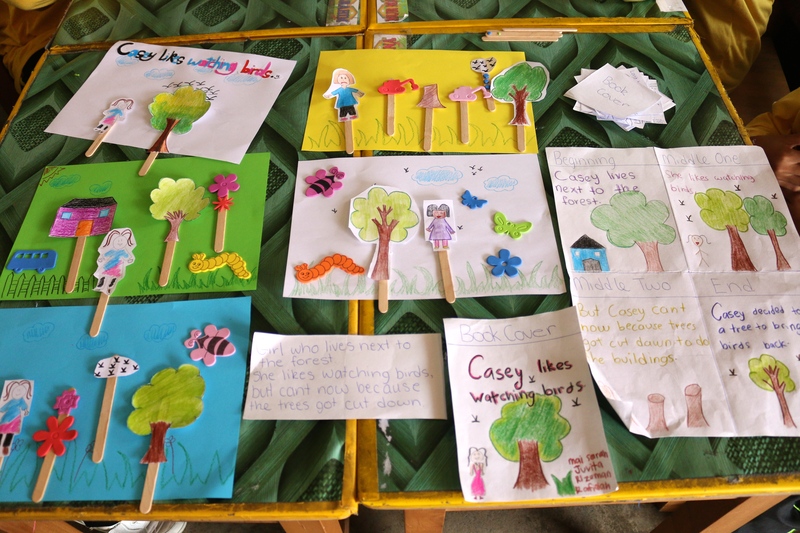 We started reading books centered on deforestation so the children could get a good grasp of the concept, and then followed it with storyboard puzzles and drawing exercises to develop students’ skills on digital book creation. The children seemed to enjoy this as we moved through the stages of creating digital books such as cover page, beginning, climax, and conclusion. At first the children were shy and withdrawn but it didn’t take long for them to get comfortable with us. One of the most memorable moments I’d say was when we got the children to read to us. I was amazed at how well the kids can read. I pointed to the first word of the cover, and it took about a second for them to realize what I meant with that gesture. “The last tree in the city” all in synch, reading the words out loud. I was impressed; they were no doubt intelligent kids eager to learn, and by the end of the day, they were all smiles. I wished we could have stayed a bit longer because the kids had just started to open up to us more on days 3 and 4. I am missing the crew. The QUT students and staff are some the coolest, most down to earth, intelligent, and a dedicated bunch I’ve met. I found it a bit intimidating at first (because I’m the total opposite). But these qualities of our team members motivated me to work hard. The Malaysian UPM students, with their warm generosity, and hospitality, were some of the friendliest, most down to earth, and most genuine people I have met in a long time. It is good to know that there are Malaysians out there that care about the environment. I think I can say from all of us at QUT that the UPM students made it lot easier and played a big role for us regarding our engagement with the kids. There were times when we struggled communicating with the kids, but having the UPM students by our side, meant that they were able to clarify things for the children. We would not have achieved our objectives without students from UPM. The support of Ms. Nurhezrin Anuar was invaluable. It’s been huge a privilege working with everyone, and hopefully I’ll get to meet everyone again sometime in the near future. This was a meaningful engagement because it was loaded with new experiences, and developed new friendships. It certainly added a new dimension to my education at QUT! Mitchell Neill is enrolled in the Bachelor of Engineering program – majoring in Computer and Software Systems. He is nearing completion of his studies. Mitchell’s team engaged in a range of activities using digital technologies (eg. little bits and Scratch) in Class 6. A child’s smile is something that transcends the need for language. 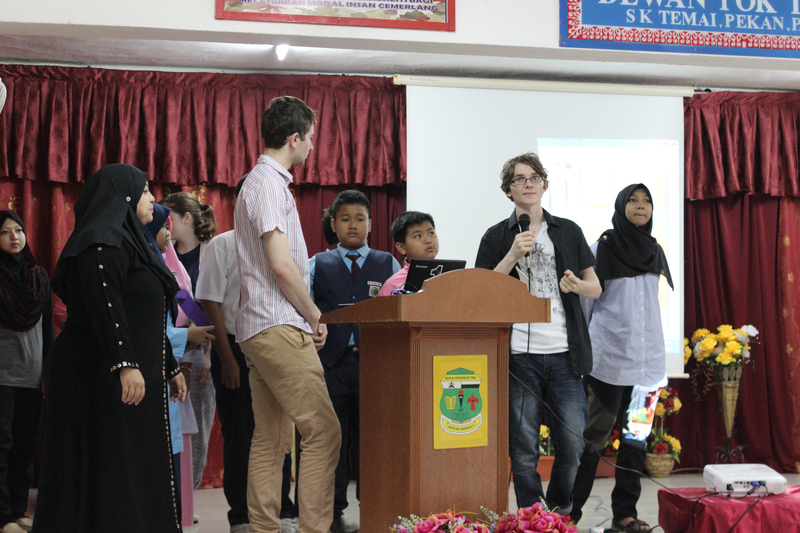 During my time in Malaysia, I was lucky enough to explore the country, along with working together with my peers to help teach students renewable energy through the use of scratch (A drag and drop programming language) and little bits (Snap together electronics). As cliché as it might be, my favourite moment within the trip, and perhaps as an educator was when the students claimed they didn’t want to go to lunch but would rather stay and keep working on their projects. This was a truly incredible feeling. I was truly amazed at how the students wholeheartedly accepted us into their groups, playing sports with us, playing traditional games with us, and teaching us about their language and culture. Malaysia was amazing. 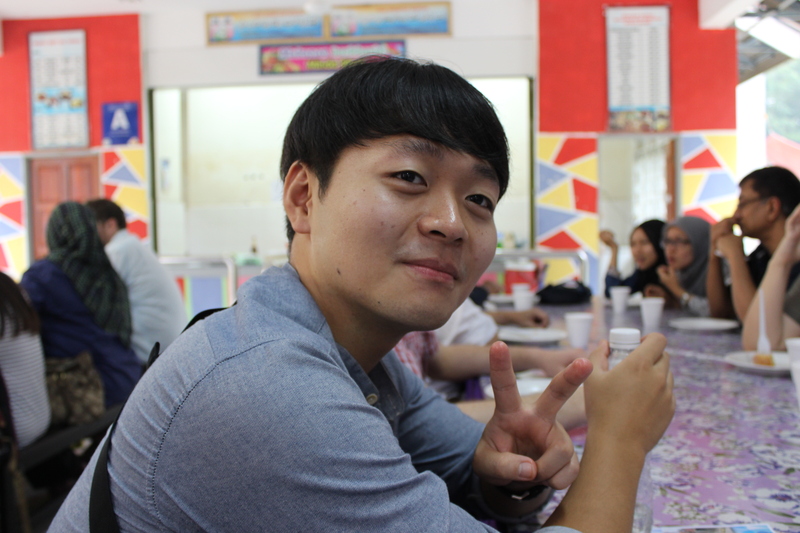 Kim Dong Hwan is an exchange student at UPM. He is from South Korea. He was a part of our team. Kim is a popular student – very much liked by all students. Kim worked with his team in Class 5 to deliver a very effective activity. Here Kim reflects on some of his experiences at SK Temai. I will have long lasting memories of the experiences that I had with my mates from QUT and UPM. We had a great time from 25 September 2015 till 3 October 2015. 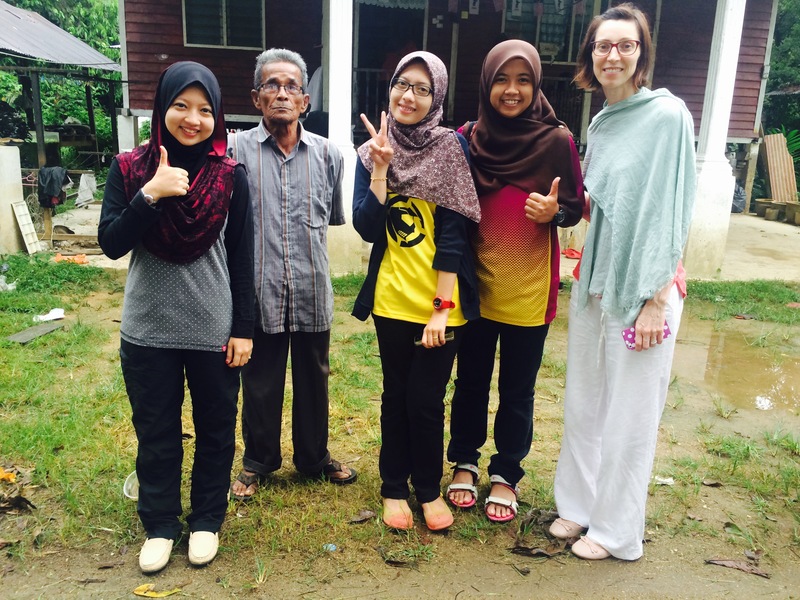 I was very excited as we made our trip to Pekan in the Pahang district of Malaysia. On the bust I talked a lot with my class mates and my new friends from Australia. Our first stop was the Kuala Gandah Elephant Sanctuary in Pahang. There were a lot of elephants in the park. We watched an elephant show and gave the elephants a bath. In the process, I also got wet. I liked our hostel at UMP. I was really looking forward to our stay here till Friday. Teaching at SK Temai went on smoothly. While our QUT counterparts took the lead, we played the role of assistants. To be honest, I did worry a lot before we started teaching. Questions like “can I teach them?”, “how do I communicate with them?”, “I also don’t know English well, can I help my friends?” went through my mind many times. But it wasn’t problem. Our Australian friends prepared the content and other resources that were very user-friendly. This made it very easy for us to follow. 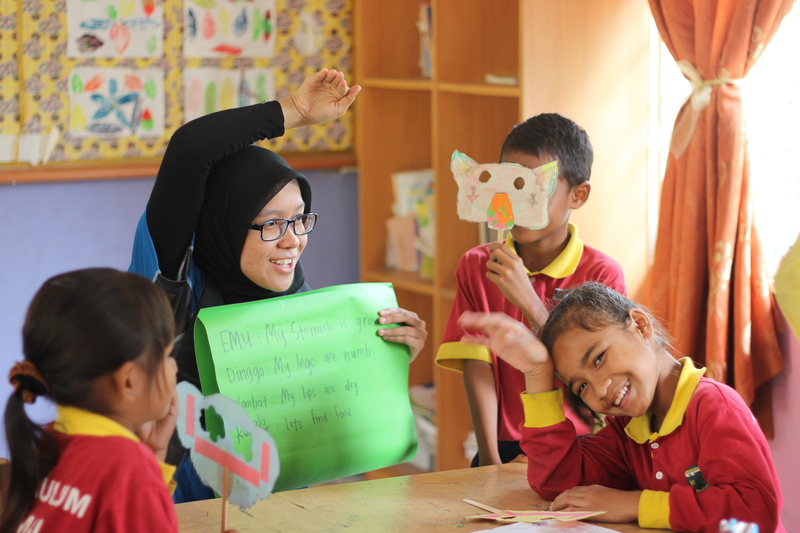 My friends from UPM were also able to explain the tasks in Malay – this made it very easy for the children to follow. At SK Temai, the children were very kind and honest. In addition, they participated very well. There were no behavior problems – so we could teach them easily. We taught them about making cartoon movies. The message was on the importance of forests and how it can be protected. I did my best for the children. The children made an excellent cartoon movie, and then we got time to present on Friday. I felt that we achieved a lot and I was proud of my student and our group. I wish SK Temai staff, students, and parents the very best in future. 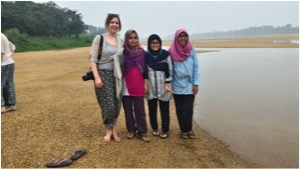 The SEE Project created new opportunities for me to learn and interact with both – people from Malaysia and Australia. I was so fortunate to be involved with this project as part of my social work practicum at QUT International Student Services. It has provided me with a real experience of culture that would be difficult to obtain on a holiday or a quick visit. I have gained insights and experiences that will stay with me for the rest of my life. I was part of a team of eight students, three from QUT and five from UPM. We used Australian animals to re-create a short story found in the Malaysian English curriculum textbook for Year 3. Our classroom activities were highly interactive and the children had a lot of fun whilst being able to practice their English and learn about Australia. 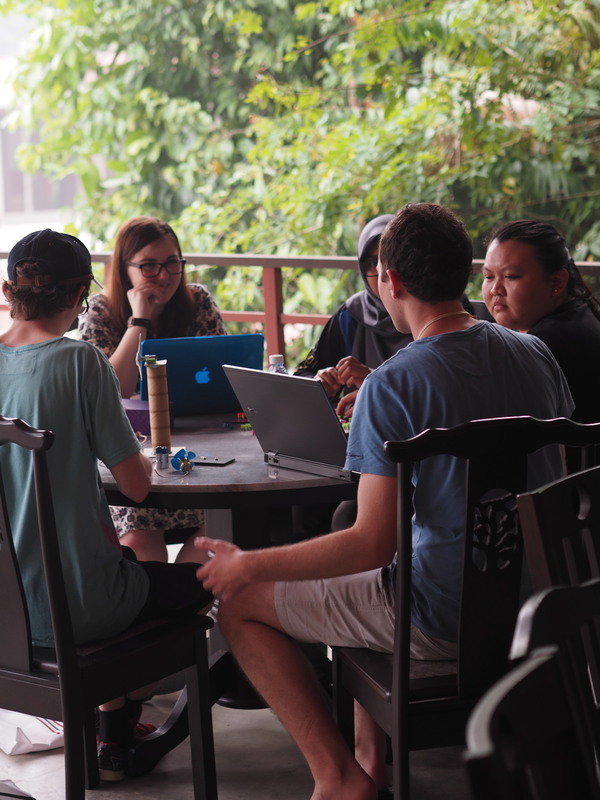 The combination of UPM and QUT students worked well, giving us the ability to explain our lesson preparation and receive feedback based upon local knowledge and incorporate ideas and games from UPM students into the classroom. In the classroom, some of the children found speaking in English very daunting which challenged us to think about other ways of interacting, however the UPM students were fantastic at encouraging the children to speak and this gave them the confidence to have a go! Being able to stay with a local family for one night gave a unique insight into daily life in rural Malaysia, the customs, the traditions and the food. It was a privilege to be hosted by families who were connected with the school and form friendships with them and the UPM students we stayed with. 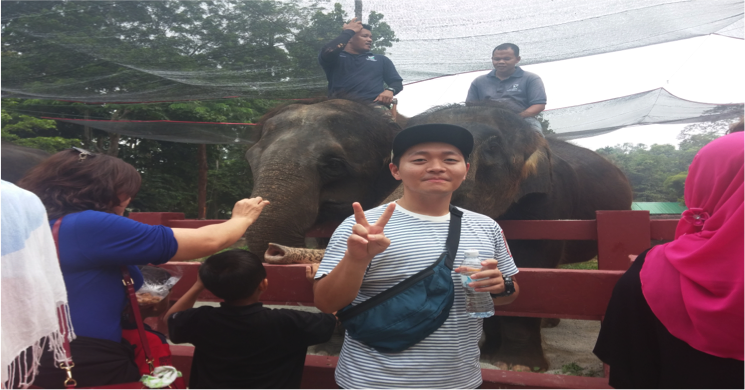 Not only did we experience life in a small rural village in Pahang, we also had the opportunity to visit an elephant sanctuary on our journey from KL to Pekan where we helped bathe the elephants and heard about their plight to remain in their local environment due to deforestation. Later on in the week we visited Kuantan, the nearest beach town, complete with cheeky monkeys on the rooves of the fast food restaurants and on our return journey to KL, we stopped at Putra Jaya the country’s new government administration hub and experienced Malaysian street food at the night markets. In summary, the trip was a very rich and rewarding experience and I will remember the people and places we visited with very fond memories! Nuraain Amalina bt Mokhli is a Bachelor of Tourism student at the Universiti Putra Malaysia. In this blog she is reflecting on the visit by QUT students in October 2015. 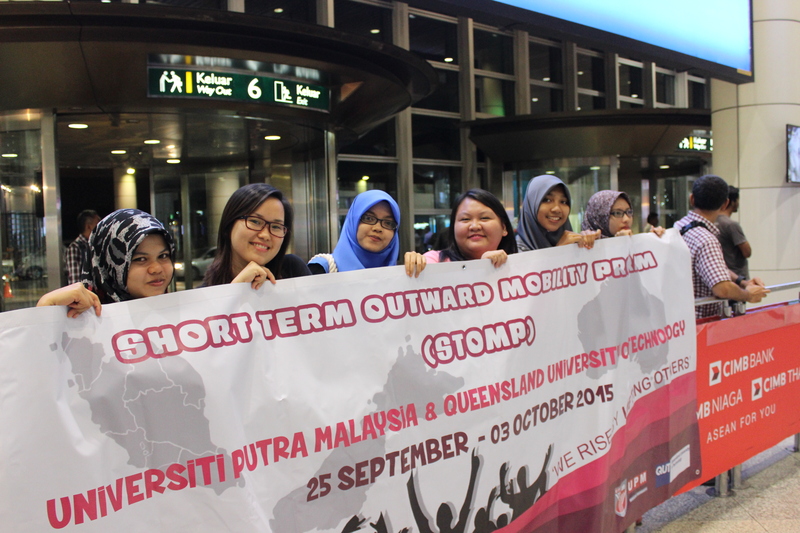 Short Term Outward Mobility Program (STOMP) is an outreach project run jointly by Queensland University of Technology (QUT) and Universiti Putra Malaysia (UPM). The project run from 25th September 2015 until 3rd October 2015 in Malaysia. I had joined this program as a student from UPM. I am studying Hospitality in Parks and Recreation under the guidance of my lecturer, Dr. Siti Suriawati Isa. My STOMP experience began when I arrived at SISFEC on Sunday, 27th September 2015. This was the first face to face meeting with QUT staff and students. Previous to this I met them once through Skype. We travelled together to Pahang by bus. Our first stop was at Kuala Gandah National Elephant Conservation Centre. 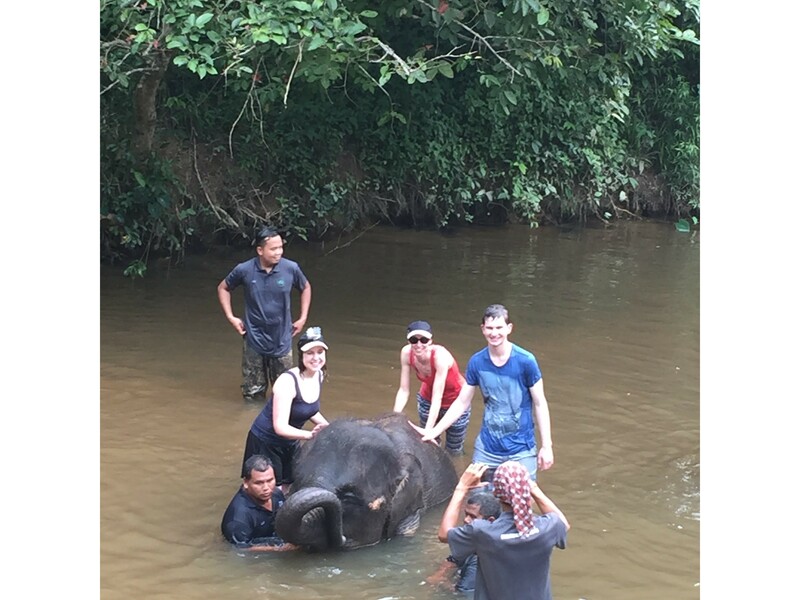 We got the chance to get closer with the elephants by watching them perform their trick, feeding them and also watching them taking a bath. We continued our travel to Universiti Malaysia Pahang (UMP). This is where we stayed for 5 days and 4 nights. Here are some of the highlights and memorable moments I experienced during my five days as a participant in this program in Pahang. I had a lot of fun assisting QUT students to teach pupils at SK Temai. I worked with QUT students Kate, Casey and Afiq to teach Year 5 students. The module was about “Deforestation”. Therefore, I helped them to translate the content and help the Year 5 students to carry out their activities. As a result of a fire haze blanketing much of the area at SK Temai there was emergency leave for all schools, so we were unable to meet the students on the first day. On the second day at SK Temai, we started to get to know the students. 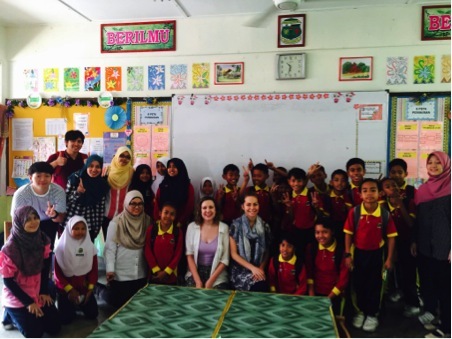 After that, I had my first experience helping the students to understand the stories read by Kate and Afiq. I was glad that the students could understand what we tried to deliver to them. Some of the students impressed me with their ability to read and understand English. Furthermore, I had fun helping students to draw on paper. The next day, I assisted the Year 5 students with story writing. My group created a story entitled “Homeless Orang Utan. The students read their story aloud in order to record their voices. After that, the students were asked to draw and make puppets using popsicles. Even though it was a bit tiring due to our limited time to finish up the activities, I still had a lot of fun because we succeeded in making drawings with the puppets. In addition, I also had learned on how to tackle the students and organise the works especially when I only have a little time to do so. On the fourth day, we started to use ICT. In my opinion, this is the most challenging task because some of the students know nothing about computers. Therefore, it was somewhat hard to make some of them to be interested with the activities. In spite of that, there were some students who were actually good at computers. After I taught them how to make a video using “Openshot” software, they can understand it and started to combine the image and the audio to make a video. However, the computer froze few times and we needed to reboot and redo the video. Athough my students and I were having a hard time at first to redo the video, we finally succeeded in completing the video. I would like to especially thank one of my students in my group, Alis, who was so good with computers that was able to solve the problem we had in order to complete the video. The other students in my group also had taken interest and helped each other to complete the video. We had debriefing sessions each day after we finished the day with SK Temai students. I had the chance to give feedback and hopefully my comments enabled QUT students to make any improvements as well as to make them feel more motivated to continue the program at SK Temai during that time. The foster family program was held for one day from Thursday, 1st October 2015 until Friday, 2nd October 2015. On Thursday evening, we had been assigned to different foster families. I got Mrs. Roslaili Abdul Kadir as my foster mother together with Casey and Hamiza. Mrs. Roslaili has two children, Aqil who is a Year 6 student and Yuna, a 4 years old girl. Our activity started with our visit to Pahang River. 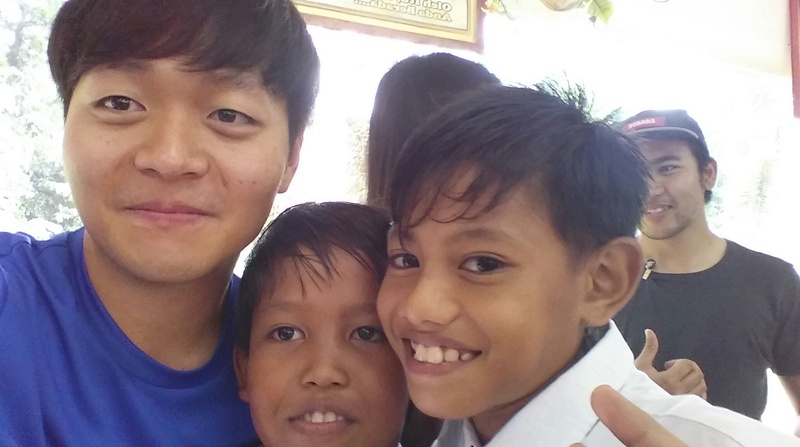 I had a lot of fun because the three of us – Casey, Hamiza and I were accompanied by my foster family as well as the other kids who live in that village. 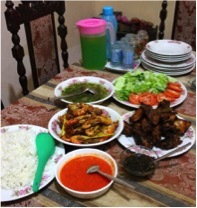 Our dinner for that night was chicken rice and prawn (Udang Galah). This was really delicious. My Mama (my foster mother) is such a good cook. All of us ate well night. We were so lucky because someone was so generous to give us freshly caught prawns from the river for free. We felt very grateful for that. Udang Galah (prawn), Chicken Rice and Jimmy Asmara drink for the dinner! After we had finished our meals, we went to our Mama’s mother’s house. That was when we saw Mama’s mother, siblings and also Yuna, Mama’s child (Aqil’s sister). Mama introduced her family to us. Mama’s mother is such a strong lady at her age because she painted the wall all by herself. Yuna is a dear little girl who loves watching cartoons especially Barbie and Frozen. She is a brilliant kid. Casey taught her some words in English like ‘banana’ and she learnt the word in a split second. I also had fun playing with her and chatting with the family. It was such a great opportunity to meet my foster family who were very friendly and lovely. Even though the program was only for a day, I had great experience and, we used our time wisely by doing many fun things in that short period of time. We spent our last two days together at UPM by having a short tour to Putrajaya. On the last day, we went to KLCC and then, we had high tea at the Picknik Restaurant before we bid farewell at the hotel. I would like to thank our partners from QUT – Mr. Graeme, Dr. Vinesh, Dr. Richard and all QUT students for partnering with us for in the nine days of STOMP program. 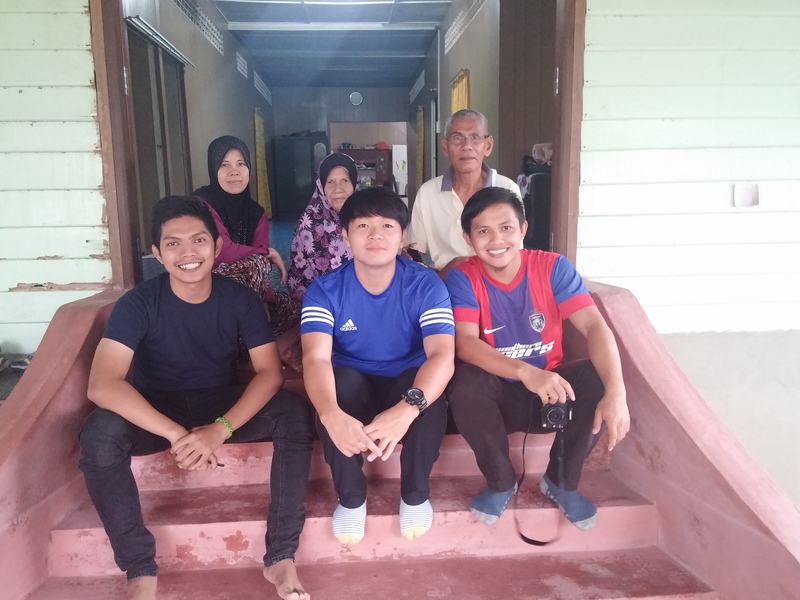 It was such a great opportunity to be able to meet and work with new people, build new friendships and gain new experience.These whole experience including those that I didn’t mentioned before such as a visit to Permatang Siput Village and many other wonderful moments leave me with bittersweet feelings. It was hard to depart from SK Temai students. It was hard to part from my foster family. It was hard to farewell QUT students and staff. During the entire program, we had many great moments and I will always remember and cherish those moments when all of us went through fun and tough times together.